An example of how an A350 order could change an airline; South African Airways. Resignation of the board and departure of key executives. 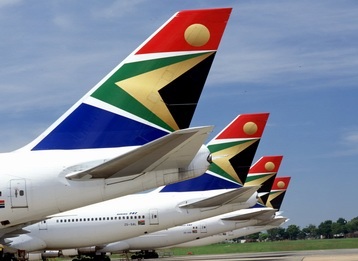 A huge South African Airways tender, worth at least USD1.08 billion, appears to be at the heart of the destructive battle to control the airline's board and executive. The Mail & Guardian revealed that SAA's fleet committee selected the new Airbus A350 over Boeing's long-haul offering in a recommendation to the SAA board in late August – and that the outgoing board gave a nod to the choice. "The previous board accepted the recommendation from the fleet committee," said one well-placed source. "That's when events started melting down – after the shareholder [the minister] was advised of SAA's view on the bids. There was a sense that the minister's office was quite shocked the process had progressed so far." Department of public enterprises spokesperson Mayihlome Tshwete said the "reality" was that the Carolus board "only met 30% of its key performance indicators, the most important of those being financial management". He said the department had not seen a "detailed turnaround" plan. "The department was concerned that there was no long-term strategy that had been shared with it that informed the fleet renewal program," he said. "This is the reason that the program is being revised: to be aligned with the long-term strategy that is being developed." Painting procces of the MSN0001 undergoing. Environmentally friendly. The A350 XWB design favours environmentally-friendly materials in the manufacture of the aircraft. One way of reaching the objective is to replace the standard chrome-plating process with a more environmentally-friendly thermal spray alternative. This dry process produces a dense metal coating, which gives the same properties as chrome plating – including wear resistance, corrosion resistance, low oxide content, low stress, low porosity, and high bonding strength to the base metal. 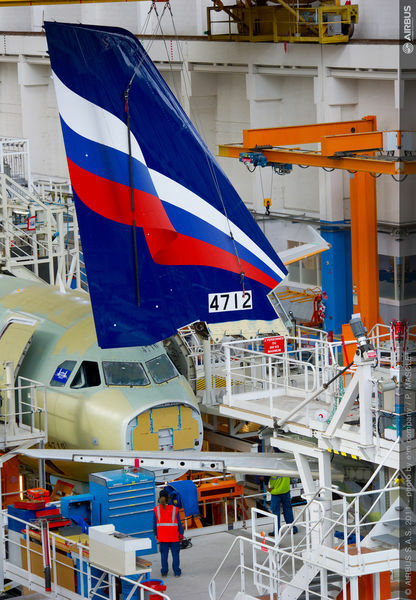 The painting of A350 XWB MSN001 in "Airbus" colours uses an environmentally-friendly, chromate-free primer paint. 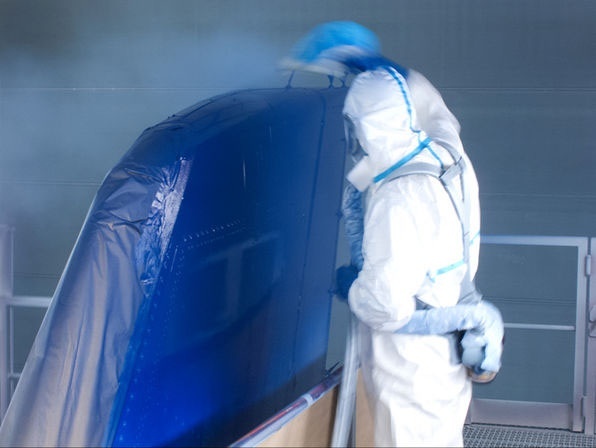 In addition, following best practices from the auto industry, Airbus uses a new base coat/clear coat system that requires less paint and less solvent. This eco-efficient painting process also means that less detergent will be needed when washing the aircraft. Inside, the jetliner, Airbus will use, wherever possible, water-based paint – one of the most environmentally-friendly types of paint available. 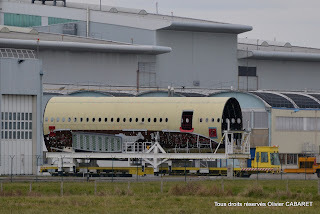 The picture of the MSN001 completely painted is expected to be published in comming days by Airbus. The Airbus A350 XWB , as well as the Bombardier CSeries, is unlikely to make an appearance at the Paris air show in June. Gilles Fournier, the managing director of the air show, says the A350 XWB "could not be ready" for Paris. "They will probably go to Farnborough [in 2014] or Berlin," he said. 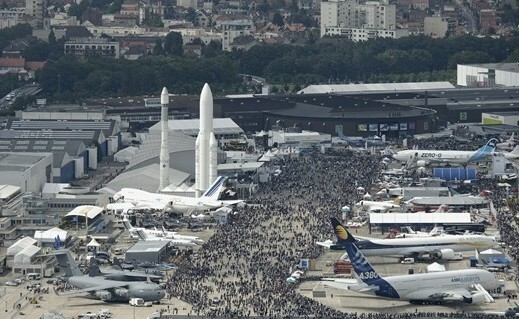 Le Bourget- Paris air show will be held from 17 to 21 June. The A350 XWB is due to make its maiden flight “this summer”, although internally Airbus maintains the pressure to get it flying in June. Meanwhile, the Boeing 787 could make an appearance if the type is cleared to fly to the show by the certification authorities (FAA, EASA and NTSB). Two 787s are planned to be featured in the show's static display - an aircraft from Boeing and Qatar Airways' 787, which also flew at the Farnborough air show in 2012. Fournier says, however, that the 787's presence at the show is contingent on whether FAA regulators clear the aircraft to fly to Paris. "If it's ready, it will fly," he adds. British Aerospace is considering to display the A380 at the air show. 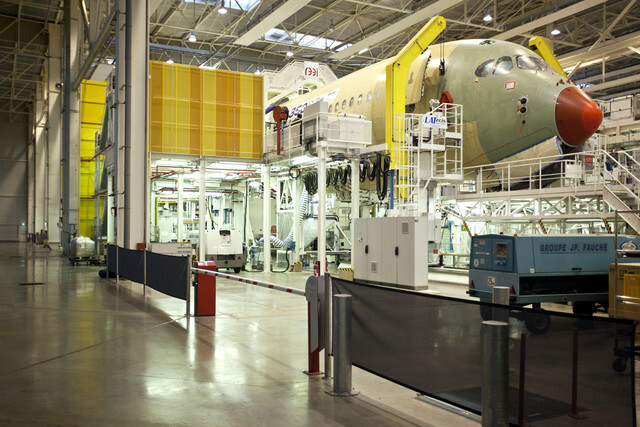 Inside a hangar at the Toulouse production campus, the “iron bird” performs all-night tests on hydraulic pumps, electrical cabling and mechanical parts draped across a loose layout of the A350 aircraft. When Airbus engineers return the next day, they sift through the data to fine-tune the new wide-body’s systems ahead of its maiden flight in few months. In an era when design and evaluation is done mainly by computer, the iron bird harks back to the mechanical dawn of the aviation age. 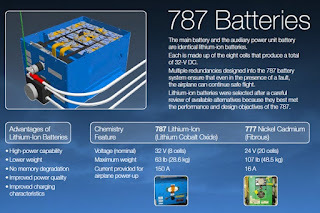 With aircraft becoming ever-more complex, Airbus says it’s a vital step in spotting issues which might otherwise go unnoticed - like battery faults that grounded 787 Dreamliner a year after it´s enter in to service. The iron bird, housed in a 2,400 square meter hangar 10 minutes from the FAL, took 100 people to build but requires no more than 10 to work it. A central catwalk and two flanking balconies offer vantage points for engineers to monitor developments. About half of a modern aircraft’s value lies in systems that control everything from the movement of wing surfaces to landing gear and braking. The iron-bird approach has helped Airbus identify multiple improvements to hardware and software, now incorporated into equipment on the test bench, according to Mark Cousin, head of system-integration tests for the A350. In one case, the plane’s landing-gear doors failed to open smoothly, a malfunction that was fixed by changing the time delay between releasing the hatches and applying the hydraulic pressure required to open them, he said. The manufacturer has employed iron-bird test rigs from its inception, starting with the A300 in the 1970s. The A350 rig has been in use since 2010, well before the first plane even began construction. Initially it ran with generic industrial parts, with a gradual switch to real components as subcontractors ramped up production. 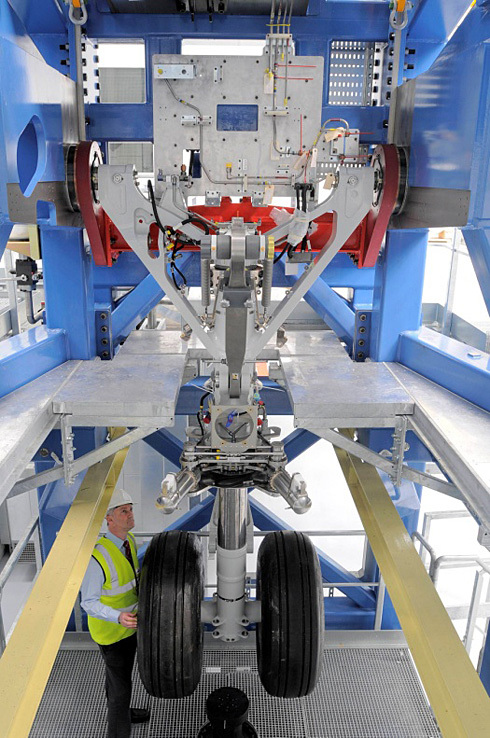 While most of the A350’s innards are replicated on the iron bird, Airbus has complementary setups in Filton, UK, for landing gear -- among the plane’s largest and most complex structures -- and in Bremen, Germany, for wing surfaces. 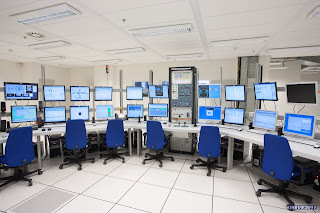 Both sites can be connected to the Toulouse test-bed via computer. 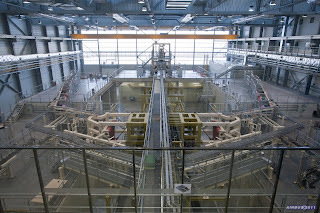 Boeing has similar test facilities, though it didn’t use an iron bird until the early 1990s for assessment of the 777. Prior to that, avionics, engine and flight controls and mechanical, electrical and hydraulic systems got their first integrated workout only during ground testing of the actual plane. For the Dreamliner, Boeing didn’t build an iron bird, and instead created a “virtual” plane spread out among labs connected to one another via computer. 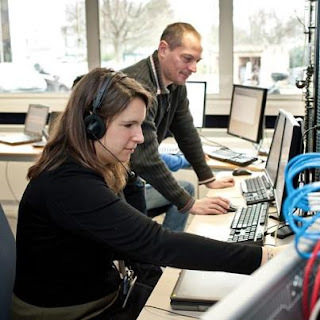 That allowed engineers greater integration with the far-flung network of suppliers. The A350 iron bird paid special attention to lithium-ion batteries like those that failed on the 787, which Airbus, too, had planned to use. 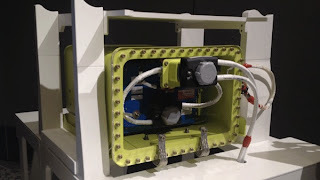 Though the test bed didn’t reveal any problems, the company decided to switch to more traditional nickel cadmium battery packs to avoid the risk of program delay. 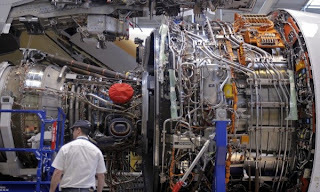 Airbus has installed on the first flight-test A350 XWB (MSN001) its two flight-ready Rolls-Royce Trent XWB engines and is also installing the new Honeywell HGT1700 auxiliary power unit (APU) at the FAL. 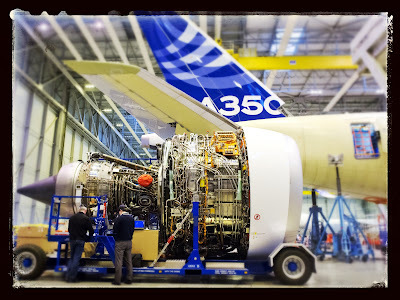 The new Trent engines were both received from UTC Aerospace Systems (formerly Goodrich) which had recently prepared the fully integrated powerplants prior to their installation on the aircraft’s pylons. The Trent XWB has already the Type Certification from EASA, and has been flying on the A380 Test Bed since more than a year, demonstrating a high level of maturity. With the installation of its engines and also the APU, the A350 XWB MSN001 becomes essentially a ‘completed’ aircraft. 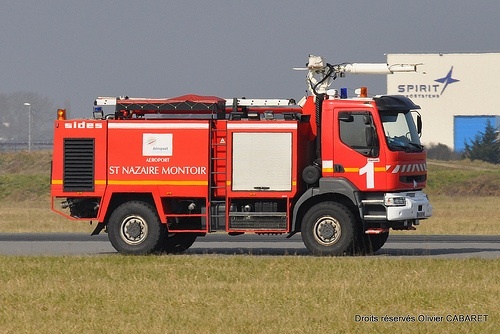 Following the ongoing ground tests, other preparations and also painting in the coming weeks, MSN001 will then be handed over to the Airbus Flight Test team to start preparations for ground runs and maiden flight in few months. Japan Airlines studying the A350-1000 for replacement of the B777´s. Decision will be announced in Le Bourget. Japan Airlines may buy about 20 A350-1000 for around $4.23 billion, as per the Nikkei daily. 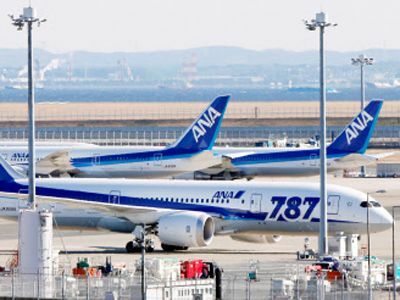 The Japanese carrier is considering using A350-1000 jets on flights to Europe and the United States to replace its Boeing 777 jets, and is set to make a final decision on the purchase by Le Bourget Air Show in June, the newspaper said, without citing sources. 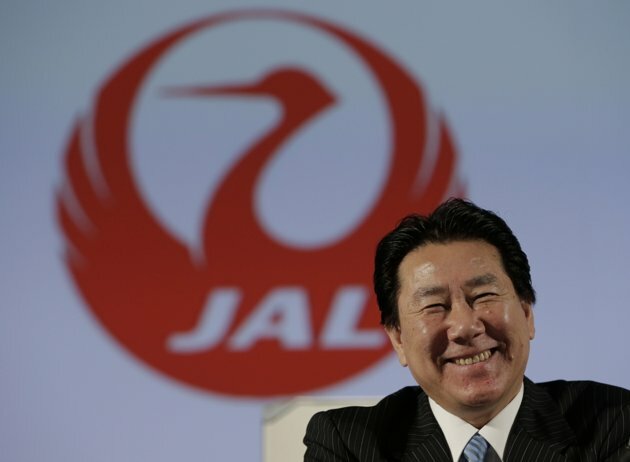 Japan Airlines is currently a full Boeing company but the Chairman said some weeks ago that he had reservations from the start on relying on one vendor. "When I first became chairman of JAL in February 2010 I found out that 100 percent of Japan aircraft were made by Boeing - I felt that was abnormal. This is not to say there was anything wrong with Boeing but a dual vendor situation is preferable. In a normal market there is tremendous risk from relying on one vendor. In order to provide good products at good prices, at lower prices a dual vendor system is a must." 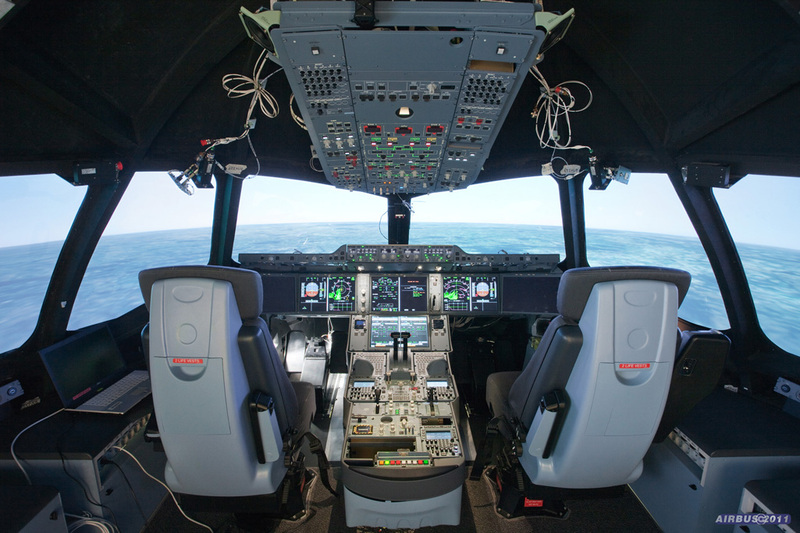 The deal for the A350-1000 would include a simulation facility for pilot training. The carrier’s seven Boeing 787 Dreamliner jets have been grounded since mid-January after problems with its lithium-ion battery, and JAL President Yoshiharu Ueki said that this grounding is likely to reduce their operating profit in the two months to end-May by $11.6 million. Based on the article “JAL may buy 20 Airbus A350 jets” published in Nikkei. 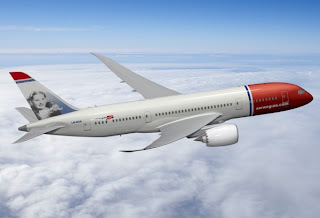 Norwegian Air doesn´t think to change the 787 with the A350 XWB although the delay of the first 787s has forced them to lease 2 A340s and they will ask for discounts as part of delay compensation. Norwegian Air CEO Bjoern Kjos said he’s looking to buy more Boeing 787s to add long-haul routes even as the company’s first Dreamliners remain on hold after the model was grounded. Norwegian Air is among airlines affected by the idling of the global Dreamliner fleet on 16/Jan in the wake of incidents with lithium-ion batteries. “There’ll be a delay that hits us on the first two aircraft,” Kjos said. Norwegian Air has leased two Airbus A340s to provide cover, one for 2 months, the other for 3, during which time the 787s should arrive, he said. Norwegian Air is scheduled to introduce 3 787s this year, 4 next and the 8th in 2015, with 5 leased and 3 bought outright. The size of a follow-on order has yet to be determined, though the planes will be purchased directly and the company may seek discounts as part of delay compensation. Kjos, who spoke in London, said the largest Dreamliner, the 787-10, is economically attractive but doesn’t offer sufficient range. Airbus’ competing A350 has been ruled out because of the commitment to the Boeing jet, which was available first, he said. 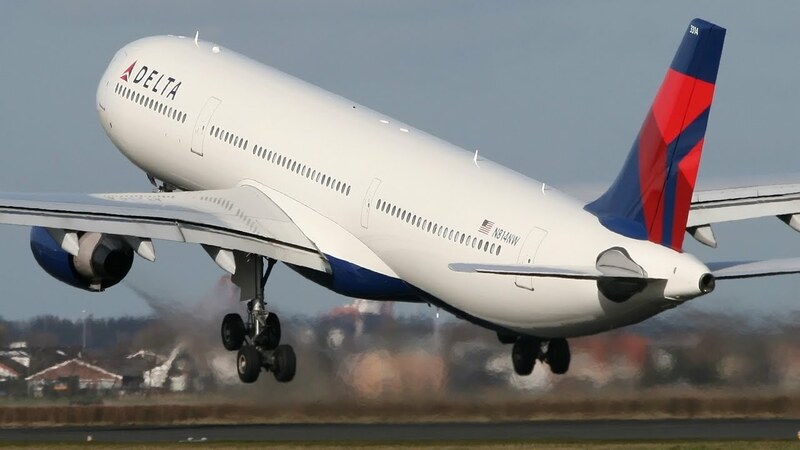 Delta Air Lines prefers A330s or B777s to update the wide-body fleet, instead of considering the new B787s or the A350 XWB. 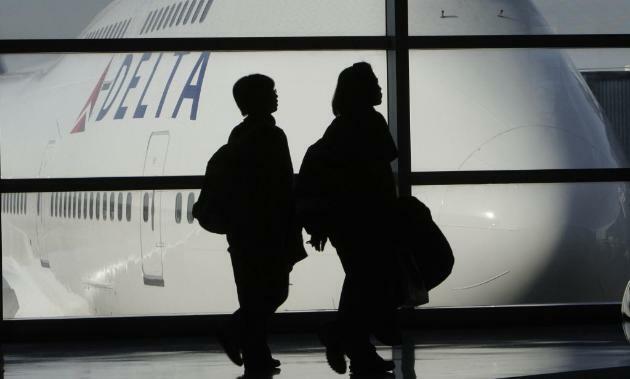 Delta Airlines is considering buying as many as 20 wide-body jets from Airbus or Boeing with a list value of at least $4.3 billion, people familiar with the matter said. The order under study is for 10 to 20 Airbus A330s or Boeing 777s, said the people, who declined to be identified because the negotiations are private. Deliveries would start within a few years, one person said. Delta already has both plane types in its fleet. Purchasing the jets would bridge Delta’s wide-body needs until the end of the decade, when Airbus’s more efficient A350 and Boeing’s 787-10 Dreamliner will have been in service for several years and would have any kinks worked out, one person said. Delta CEO Richard Anderson has said he prefers buying established models with proven reliability, which are cheaper over the long term, even if they consume more fuel. Delta signaled earlier this month that it might consider new twin-aisle planes, when President Ed Bastian said at a JPMorgan Chase & Co. conference that the airline may find “opportunities in the marketplace selectively to add to our wide bodies.” Bastian said Delta would talk to both Airbus and Boeing. But Delta hasn’t decided on long-term aircraft needs such as the 787 or A350. “I don’t see that there’s going to be a need for making a decision on the long-term wide-body fleet anytime soon,” Mr. Bastian said at a press briefing in London. MTorres is one of the top manufacturers of CFRP tape-laying &fiber placement machines. Not really known in public but a Top Company & Key Partner when you ask to anyone working on composites. 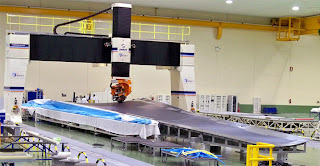 They have worked its way to the top echelon of advanced CFRP manufacturing with equipment in Airbus and Boeing, and their primary Tier 1 suppliers. 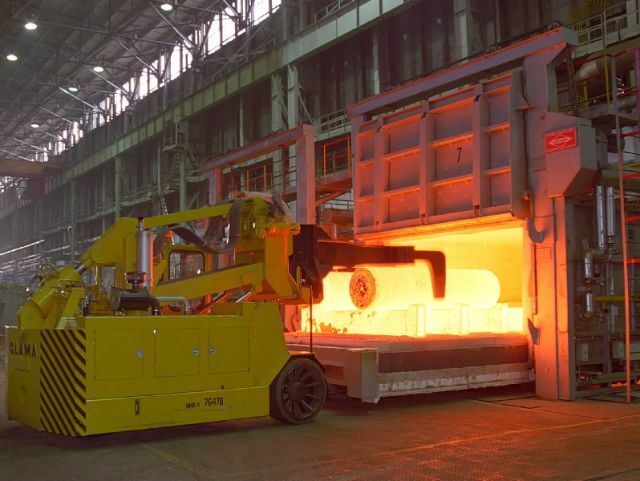 “What we have begun to see is our equipment being purchased by firms further down the supply chain, including Tier 2 and perhaps even Tier 3 companies interested in supplying to the OEMs. In other words, our customer list is expanding, and concurrently so is the accessibility to the technology, such as automation. We are “spreading out” the technology” Manuel Torres –founder and CEO- said in an interview. Product range includes ATL automatic tape layers, AFP automatic fiber placement machines, 5-axis gantry routing machines/flexible tooling, ultrasonic inspection systems, ultrasonic cutting systems, 5-axis gantry laser scribing machines/flexible tooling, assembly jigs. As an example and according to Airbus, the automated wing-cover production process will use more than 800 metric Tonnes of carbon fiber annually at the facility’s maximum production rate. In the last week´s JEC Composites show in Paris, Hexcel provided details of its work on the Airbus A350 XWB, which takes carbon composites to a new level and represents the largest contract in the company’s history, with overall revenues of between $4-5 billion. 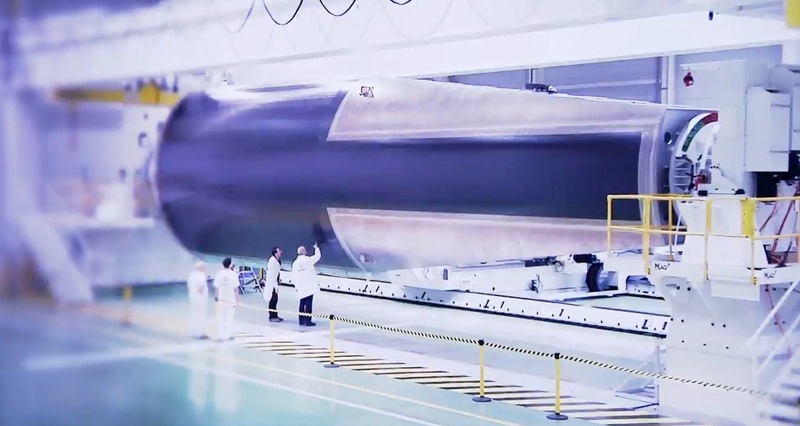 Hexcel’s total content on each A350 XWB is now worth over $4 million and it secured the contract by developing a complete composite proposal, including carbon fibre prepreg and associated products. 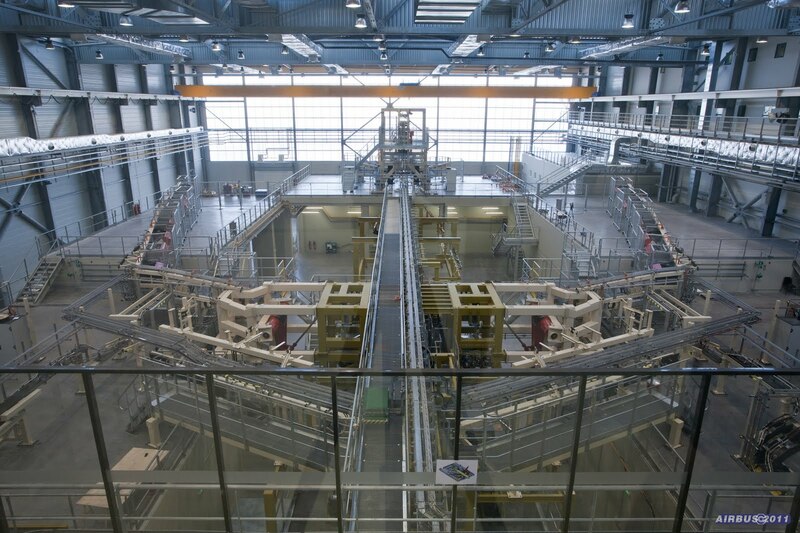 The company’s experience in intermediate modulus carbon fibres was exploited to design HexTow IMA to Airbus requirements and HexPly M21E prepreg resin matrix developed to ensure that the very high performance properties in the fibre are fully optimised in the cured prepreg laminates. 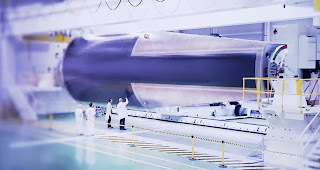 One composite structure built using HexPly M21E/IMA is the rear fuselage. 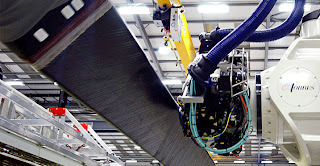 To meet the increasing demand for HexTow carbon fibre, new lines have been added at the company’s PAN precursor facility in Decatur, Alabama new carbon lines commissioned in Salt Lake City, Utah and a first European carbon fibre manufacturing plant etsablished in Illescas, Spain. 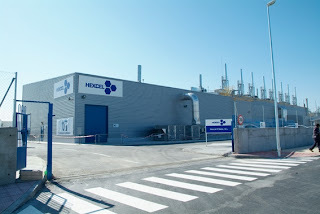 With the resin film manufactured in UK, the UD prepreg is converted at Hexcel facilities in France, Spain, Germany and the USA from where it is supplied to nearby Airbus facilities and the Tier 1s throughout Europe and the USA. This has resulted in a highly effective supply chain model for prepreg production, resulting in shorter lead times, greater responsiveness, reduced transportation of materials, point of use delivery, less packaging, reduced inventory and less requirement for cold storage space. The Lufthansa’s Supervisory Board has approved the acquisition of 100 A320 Family aircraft, 2 A380s and 6 Boeing 777-300ERs. Lufthansa will receive the A380s and 30 baseline A320s, while Swiss will take 6 777-300ERs that will replace Airbus A340-300s. In 2012 Lufthansa's group fleet decreased by 9 aircraft, to 627, from the previous year but the company has deployed larger types to keep capacity stable. The group is intending to introduce 34 new aircraft to the fleet this year, and had previously said it was preparing to order another 108. "Ongoing modernization of the fleet as well as strict capacity management were of great help in maintaining competitiveness last year," says Lufthansa Group. "236 new aircraft are currently on our order list". Lufthansa Group's annual report - which does not cover new latest fleet acquisition - details 133 aircraft on order up to 2018, of which 69 are A320-family types. The long-haul component comprises seven A380s and 15 747-8s, as well as 5 777Fs and 3 A330s. Lufthansa, has a splitted long-haul fleet&orders with A330/A340s, A380s, 747-8i and 747s, but no orders for A350 as of today. Lufthansa is seeking to unify standards for engines and cockpits across its group of five airlines to boost purchasing power; the aim is to find a common denominator to place one single order and negotiate more favorable terms and conditions for aircraft. In its long-haul fleet, Luthansa will pare down its 6 aircraft types -in 16 different versions- to 4 aircraft versions. Lufthansa is emerging as one of the possible launch customers for Boeing’s proposed 777X. The airline is including the aircraft in its long-haul fleet evaluation that is to be decided later this year. The carrier is looking at the Airbus A350-900/1000, more Boeing 747-8s and the 777X, company sources say. 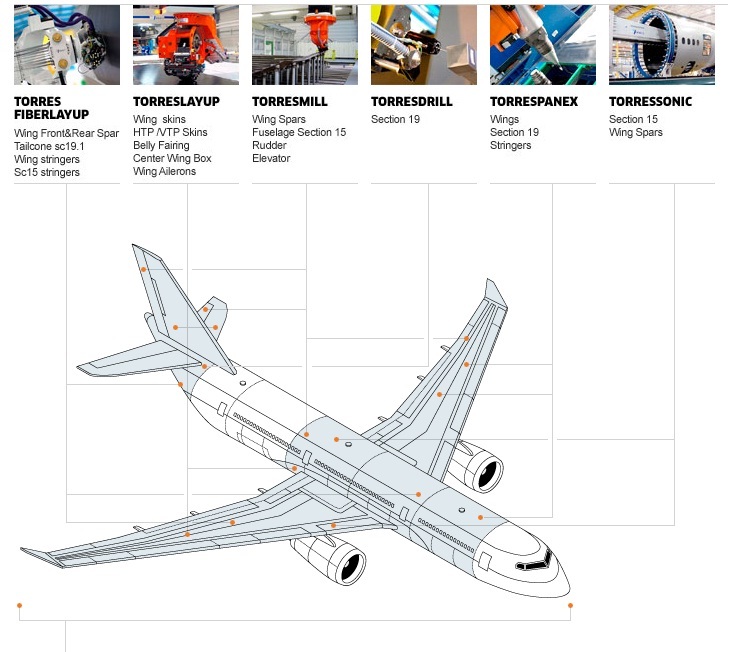 The 787 is not under consideration as it is too small for Lufthansa’s requirements. 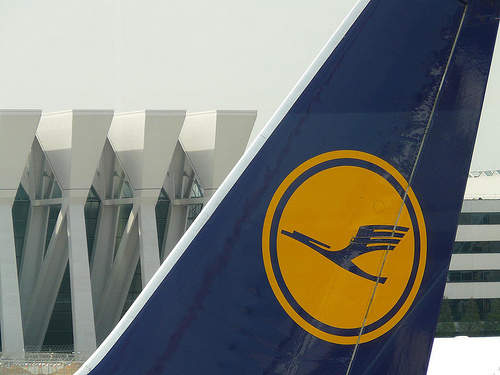 Lufthansa Group is the Airbus´s largest airline customer, with a total of 532 aircraft ordered and also Airbus’ biggest operator worldwide with 385 Airbus aircraft currently in service. 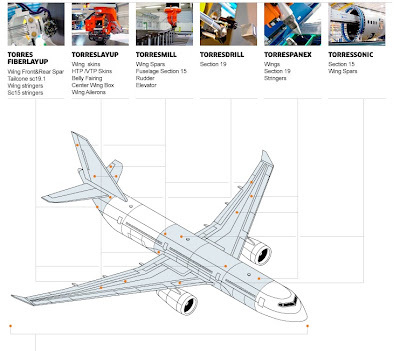 These include: 271 A320 Family, 41 A330s, 63 A340s, and 10 A380s. 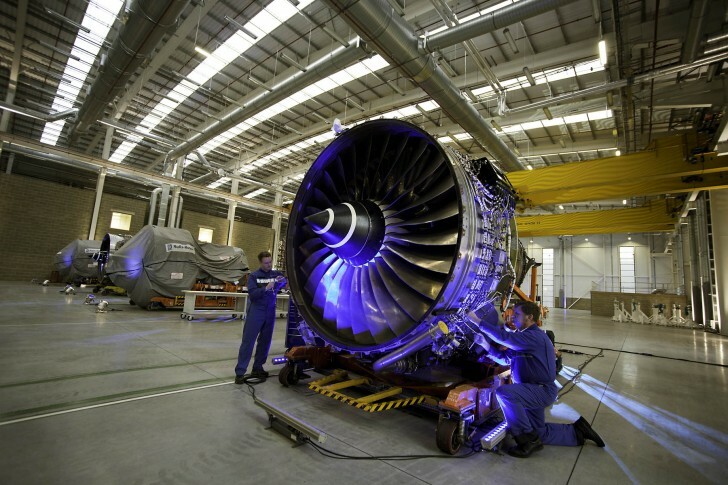 Rolls Royce is the sole engine supplier but not the exclusive engine supplier for the A350-900. The phrase is from Rolls-Royce's Robert Nuttall on A350 Trent XWB: "RR a sole engine supplier not the exclusive engine supplier." And it is interesting as the Trent XWB has just obtained certification some weeks ago. It is a very good news for the A350XWB because the TrentXWB certification means that the engines are now safe to fly. Some days after the certification (a bit late in the development phase of the Program? ), an article mentioned a possible second engine for the A350-800 and A350-900. Indeed, Pratt & Whitney and Airbus would be reportedly studying a possible Geared Turbo Fan (GTF) on the smaller A350XWB. 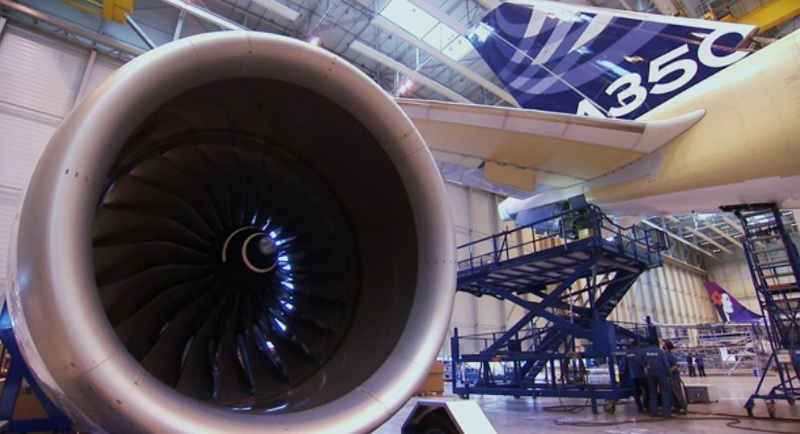 However, there won’t be any second engine for the A350-1000 because Rolls Royce has the exclusivity on that version. 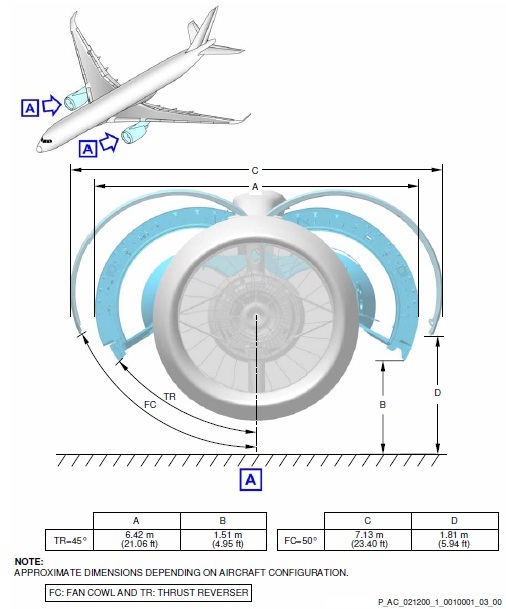 So basically there could potentially be a second engine option on the A350-800 and A350-900. It sound very strange that this proposal comes in a so late stage of the development. Airbus and Boeing seems that are moving to a unique engine option. Previous Airbus aircraft have two or three engine options. But the A350 XWB has, as of today, a unique engine option with Rolls-Royce. Boeing is also moving in the same direction; in the original B777-300 and the -200ER there were three engine options and in the current B777-300ER there is a unique engine option with General Electric. 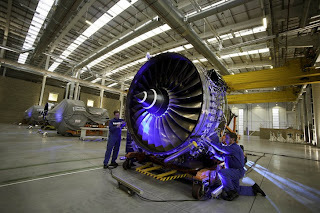 Fot the future 777X, the sole source engine will be also GE with its GE9X. 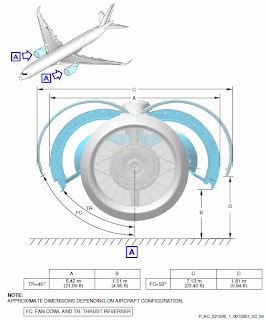 A sole engine configuration reduces the development costs but increases the risks (with any issue or delay in the engine, the aircraft is delayed) and reduces the options for airlines to harmonize the engine maintenance of their fleet (for example Air France with a fleet of GE engines and it´s new orders for 787 and the pending order for A350s). Will 787 return to the air before first flight of the A350 XWB? The FAA recently approved certification plan, part of a comprehensive process that is an important milestone. The FAA has approved the changes and we will have a series of ground and flight tests and a series of analyses to lead to certifying the airplane. Boeing is expecting a pretty short testing period for their proposed battery fix though the FAA could mandate more tests. 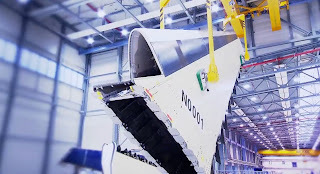 Boeing plans to conduct in coming weeks test flights with the proposed fix on ZA272 (LN 86) and in parallel, ground tests on ZA005 (LN 5) of the fix. Both aircraft are in the process of being retrofitted with the battery fix. Boeing is pretty confident of the fix because of the testing and work performed in their integrated systems labs but many of these tests will have to be re-performed under the oversight of the FAA. Boeing said that about 1/3 of the required FAA testing is already completed. The box is designed to prevent a fire or to ‘contain’ it? It takes about 1 week to remove the old lithium ion battery set up and install the new battery assembly for both the main and APU battery. Once the FAA has given it's sign off, then Boeing will act aggressively to get the fix installed on the 50 787s that currently in customer hands. 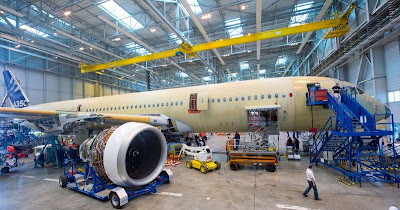 There will be multiple Boeing teams at different locations working concurrently to do the retrofit as new parts for this retrofit are already being manufactured. After finishing with the 50 aircraft that are in customer hands, the retrofit will be implemented in the 25 787´s sitting at Charleston and Everett as well as the aircraft that are in various stages of production. The root cause of the battery incidents has not been discovered. With its reputation out on the line, Boeing Commercial Airplane Head, Ray Conner and Chief Engineer, Mike Sinnett explained, in detail, Boeing's proposed solution and why they have confidence in it. The briefing in Tokyo was very technical in nature and very through. Here Boeing revealed that they expect that they can be done testing and start implementation of the fix in weeks and not in months. They qualified those remarks by stating that the FAA has the final say in lifting the airworthiness directive that lead to the grounding. After tests, the FAA will take it's time in analyzing the data and perhaps ordering further tests. 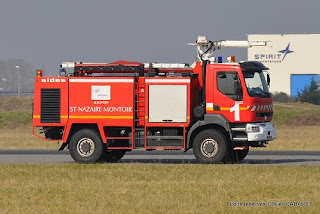 The 50 787s may not resume passenger flights for more than 6-8 weeks and deliveries to Airlines probably will resume before Le Bourget (mid-June); but it depends on the FAA and how stringent they plan on being. The FAA stressed that the approval was only but a “first step” in a process that will involve “extensive testing”. 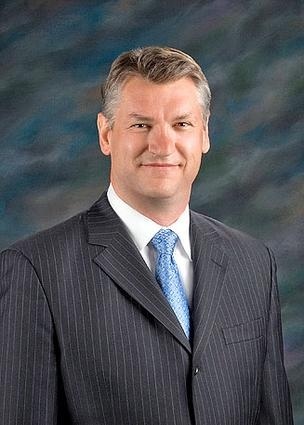 Boeing Commercial CEO Conner: “Will Move Really Fast” With Testing, Certification Of 787 Battery Fixes Once Approved By FAA. He will fly on the first 787 airline flight when grounding lifts. 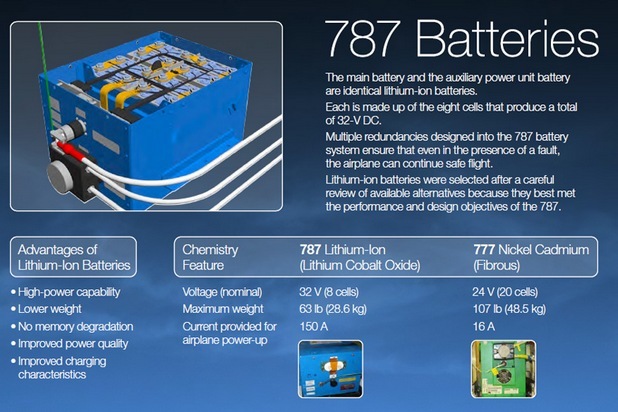 The presented solution for the 787 battery is a temporary fix that would allow the 787 fleet to get back into the air as soon as possible. 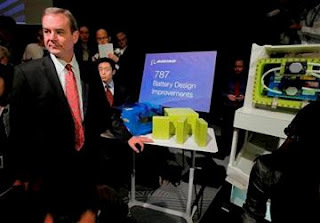 But Boeing and its partners should continue developing a permanent fix or a better solution for the Li-Ion battery configuration for coming 777X and other aircraft. As the root cause is not clear (was it a component issue or was it an integration issue?) it is not clear where the corrective actions should be taken; Japan, UK, France or USA. 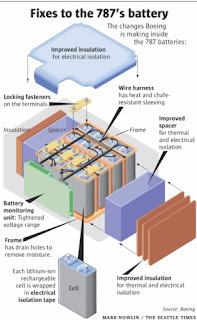 Thales is the French supplier of the 787 batteries, who designed it and awarded the battery cell manufacturing to GS Yuasa, a Japan company that builds all kind of battery. Thales assembles the battery pack with the controller and then ship the box to Spirit AeroSystems for installation on the fuselage sub-assembly. SecuraPlane (UK) is the manufacturer of the BMS (Battery Monitoring System) and supplier of the battery charger. The final integrator is Boeing who defined the specifications to which each Vendor/Contractor tendered its involvement. 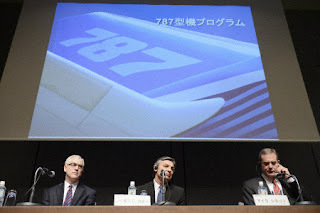 The FAA is not the unique authority to take a decision; the japanese NTSB and the european EASA should take the same decision in the same moment to allow full 787 service. 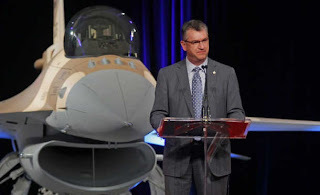 Boeing: "We work very hard to design a system that will not fail. Then we assume it will fail and provide redundancies or backups. We apply this design philosophy to every system on the airplane." A special task force has been studying issues relating to the use of lithium-ion batteries in airliners since 2008 and they published some guidelines in 2012 (after original 787 battery certification plan was developed). This task force, known as the Radio Technical Commission on Aeronautics (RTCA),is an advisory committee that provides recommendations on ways to meet regulatory requirements and some key participants of the meetings have been Boeing, Airbus, Embraer, the FAA, GS Yuasa, American Airlines and ALPA. Big impact for airlines. Compensation claims will arise as soon as the 787 returns to the air. Some airlines have announced their cancellation schedules for the Boeing 787. JAL and Air India are the most optimistic ones, cancelling the 787 schedules only through 1st of April. Qatar and Ethiopian until the 1st of May. ANA and United have cancelled 787 schedule until 1st of June and LAN until September. The more pessimistic airline is LOT that has cancelled 787 flights until 1st of October. 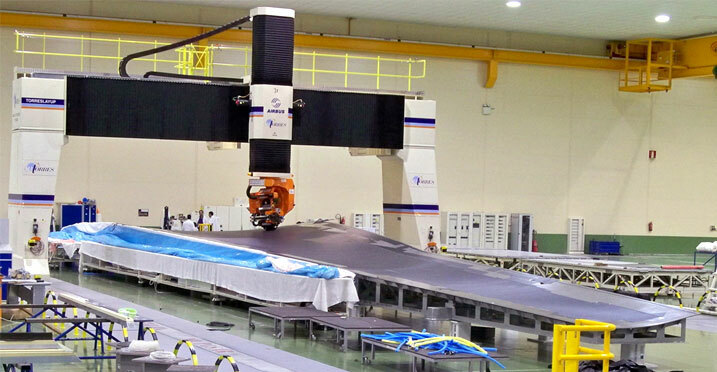 Spirit´s 5378 m2 facility in Saint-Nazaire is dedicated to receive center fuselage frame sections from USA, assembly them and deliver to Airbus plant the “section 15” of the A350 XWB. The plant employs 24 and at full production, it will employ about 75. Spirit has been identified as a critical Tier1 and a very close monitoring team is onboard, reporting directly to Didier Evrard A350 Program Director. 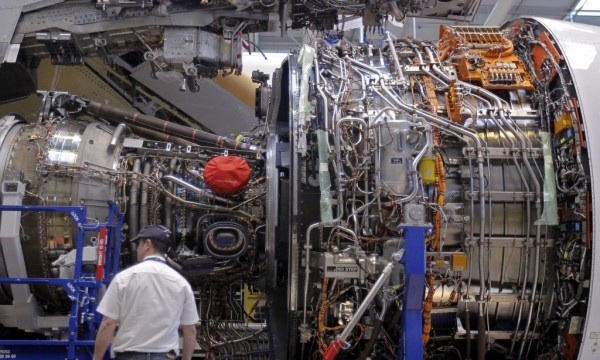 Based on the article published in Les Echos and Challenges (where is quoted a French CFE-CGC union leader, Francoise Vallin), Airbus is talking with Spirit AeroSystems about the possibility of buying Spirit’s assembly plant in Saint-Nazaire, in order to get the program back on track. The move could be a “dent to Spirit’s credibility as a major structures supplier,” said RBC Capital Markets aerospace analyst Robert Stallard. Other aerospace analysts consider that the move could be positive for Spirit, because it could reduce the company’s risk on the program. 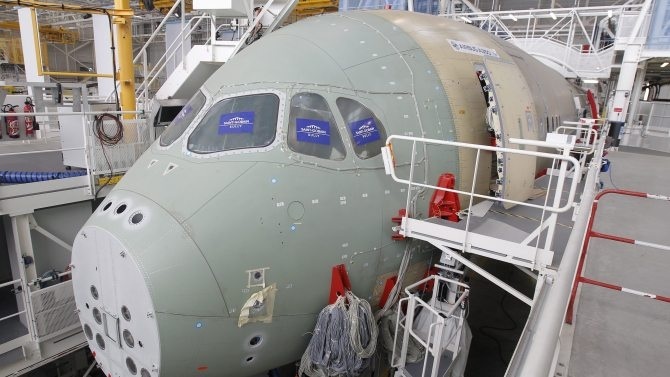 Spirit’s filing with the Securities and Exchange Commission said that the company had received additional assistance from Airbus on the program and was working to have its production certificate restored. The change could be positive and negative for Spirit, said Teal Group analyst Richard Aboulafia. “It depends on the terms,” he said. Selling the plant to Airbus would affect Spirit jobs in France, Aboulafia said. 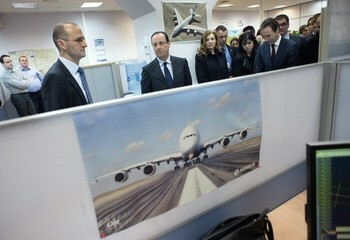 “It would probably mean Airbus personnel would take over these activities unless they were offered jobs,” he said. “I would assume they would replace them with their people.” On the other hand, Spirit would have more resources to focus elsewhere. “I would assume it doesn’t mean that Spirit’s role (on the A350) goes away completely,” he said. Russia remains a key Airbus strategic partner for both commercial and industrial reasons. The region has a long history in aeronautics and is among the most important civil aviation markets in the world. Aeroflot will became the first Russian airline to operate the A350 XWB Family (it has an order for 18 A350-800 and 4 A350-900) and currently operates the biggest Airbus fleet in the region, with over 100 aircraft. They have another order for 22 787-8 plus 16 777-300ER. Airbus has a regional office in Moscow to cover sales, marketing and public relations, as well as to develop cooperation projects with the Russian aviation industry and provide on-the-spot airline support. In addition, the Airbus Engineering Centre in Moscow (ECAR) – which currently employs some 200 engineers – is involved in all Airbus programs. 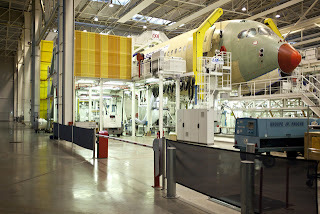 The centre is celebrating its 10 year anniversary in 2013, proving to be a model of success for Airbus’ globalization strategy. 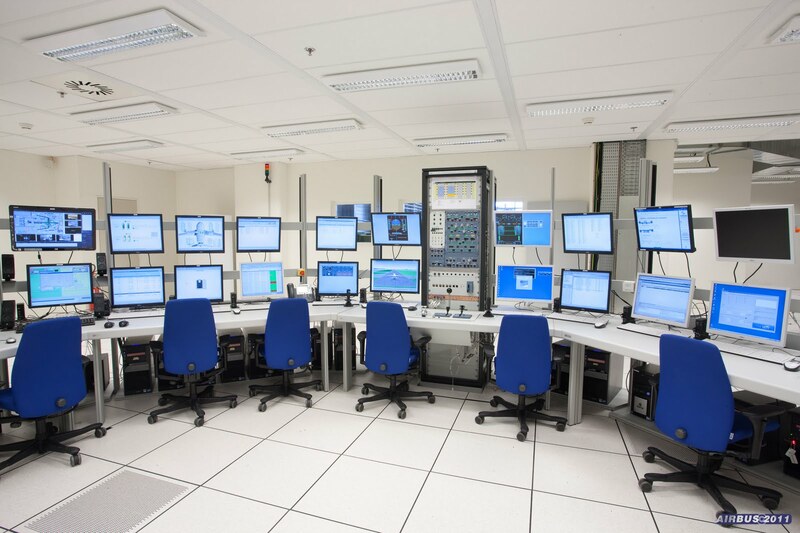 Equipped with state-of-the-art equipment, ECAR performs extensive work in disciplines such as fuselage structure, stress, system installation and design. The centre is currently involved in the A320neo Sharklets design development as well as numerous design works on the A350 XWB. For more than 20 years, Airbus has been successfully developing cooperation with the Russian aviation industry, with both sides demonstrating the will to build a long-term mutually beneficial partnership. Switzerland’s Liebherr Group has announced plans to build a plant in Russia to produce construction machinery and aviation equipment. The project is estimated at $250 million. Liebherr and the local Hydromash company will supply Airbus with components for the A350 XWB nose landing gear. The purchase of materials was one of Airbus’ earliest activities with Russian industry. VSMPO-Avisma is a key titanium supplier to Airbus, delivering today over 60% of the company’s demand for this material. VSMPO-Avisma is a major supplier of titanium forgings for the main landing gear on the A350 XWB and A380. France President visited Airbus research center in Moscow last 28/Feb/2012 prior Hollande´s meeting with Russia´s President Putin at the Kremlin.